Choose an app dedicated specifically to housekeeping. View all room statuses in your hotel quickly and easily. Filter by status to view only the statuses you want to see. By using the “In progress” filter, you get a snapshot of the work in progress at your hotel. 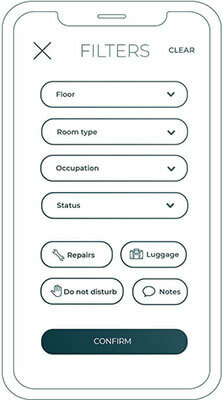 View at-a-glance the number of guests, stay length, stay progress and the type of housekeeping required with the Housekeeping app. Change room status directly from the app and inform other departments of status changes in real time. 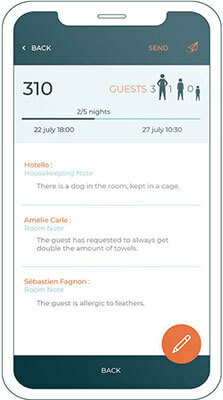 Easily access booking notes to meet guests’ special requests or provide a specific service. Easily determine the type of housekeeping required based on the information the app provides.